BULLION - Bullion counter may trade with mixed bias Gold held close to two-week highs on Thursday as the U.S. dollar eased after British lawmakers rejected a no-deal Brexit in any scenario and as tepid U.S. inflation data reduced the chance of future U.S. interest rate hikes. The British parliament on Wednesday rejected leaving the European Union without a deal, further weakening Prime Minister Theresa May and paving the way for a vote that could delay Brexit until at least the end of June. Gold can take support near 32050 and can recover towards 32250. Silver can take support near 38500 and can recover towards 38900. U.S. producer prices barely rose in February, resulting in the smallest annual increase in more than 1-1/2 years, in the latest sign of benign inflation that supports the Federal Reserve's wait-and-see approach to further interest rate hikes this year. U.S. President Donald Trump said on Wednesday he was in no rush to complete a trade pact with China and insisted that any deal include protection for intellectual property, a major sticking point between the two sides during months of negotiations. ENERGY- Crude oil may open on positive bias as it may test 4100 in MCX. Brent crude oil prices on Thursday hit their highest so far this year, pushed up by ongoing supply cuts led by OPEC and by U.S. sanctions against Venezuela and Iran. An unexpected dip in U.S. crude oil inventories and production also lifted prices, The Organization of the Petroleum Exporting Countries (OPEC) and some nonaligned producers including Russia have been withholding oil supply since the start of the year to tighten global markets and prop up crude prices. In Venezuela, oil production and exports have been disrupted by a political and economic crisis that has caused massive blackouts and supply shortages, while Washington has barred U.S. companies from doing business with the Venezuelan government, including state-owned oil firm PDVSA. Natural gas may remain sideways as it can take support near 195 while taking facing resistance near 200 in MCX. U.S. natural gas futures settled higher on Wednesday on expectations that a federal report on Thursday will show a much higher-than-normal weekly withdrawal, deepening the storage deficit. BASE METAL - Base metals prices may trade with sideways bias. Growth in China's industrial output fell to a 17-year low in the first two months of the year, pointing to further weakness in the world's second-biggest economy. But investment picked up speed as the government fast-tracked more road and rail projects, offering some relief for policymakers as they work to avert a sharper slowdown, data showed on Thursday. Copper may take support near 446 and can face resistance near 458 in MCX. Zinc can take support near 196 while facing resistance near 201. Zinc edged down from near eight-month highs on Thursday after comments from U.S. President Donald Trump chilled optimism over an imminent China trade deal, while tight supply of metal underpinned prices. LME zinc stocks have fallen to 58,950 tonnes, the lowest since October 2007, and down from around 250,000 tonnes as recently as August. In recent years, traders have been holding metal outside LME warehouses where storage is cheaper. BULLION - MCX Gold and Silver may note mixed trade in line with international market but selling could be seen at higher levels. COMEX gold trades in a narrow range near $1315/oz after yesterdayâ��s minor 0.1% decline. Gold trades in a range as market players await more clarity in US-China trade talks and US government shutdown. US-China trade talks are continuing today however news sources reported that both sides remained deadlocked on key issues. If there are no signs of a deal, safe haven demand for gold may rise however it will also push US dollar higher limiting gains in gold. The US House and Senate on Thursday approved a spending bill aimed at averting a government shutdown and sent it to President Donald Trump. It is likely that President Trump may approve the bill to avert another shutdown and this could lend support to US dollar. Amid other factors, gold remains supported by central bank buying, Fedâ��s dovish stance, disappointing US economic data and Brexit uncertainty. Prime Minister Theresa May lost another round of Brexit voting in Parliament. The divide in British Parliament will make it difficult for UK Prime Minister to renegotiate the Brexit deal with EU. US retail sales stumbled 1.2% in December, the largest decline since September 2009. ETF outflows however show weaker investor interest. Gold holdings with SPCR ETF were unchanged at 796.854 tonnes yesterday, lowest since Jan.8. Gold has witnessed listless trade in last few days and this will continue unless there is clarity on major issues. We however may see selling at higher levels if US dollar manages to hold its gains. ENERGY- Crude Oil- MCX Crude Oil may note some gains tracking cues from international exchange however upside is limited. NYMEX crude trades higher above $54 per barrel after a 0.9% gain yesterday. Crude trades higher supported by tightening supply outlook amid OPECâ��s production cut deal and supply concerns relating to Venezuela. Saudi has indicated willingness to extend production cuts further next month. Meanwhile, Russia's Energy Minister said it would accelerate output cuts agreed to in a deal. Russia expects production at about 11.3 million barrels a day as against target of 11.191 mn bpd. However, weighing on crude price is higher US production and demand concerns amid weakening outlook for major economies. 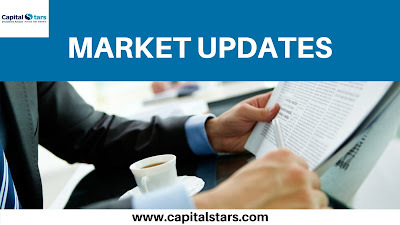 Disappointing US economic data released yesterday rekindled worries about health of the economy and brought a halt to recent gains in US equity market. Chinese inflation data released today also disappointed. Equity markets have turned choppy also as market players awaits more clarity on US-China trade deal and US government shutdown. US-China trade talks are continuing today however news sources reported that both sides remained deadlocked on key issues. The US House and Senate on Thursday approved a spending bill aimed at averting a government shutdown and sent it to President Donald Trump. Crude has witnessed a sharp rebound in last few sessions however the gains will be challenged by concerns about health of US and Chinese economy. Natural Gas- MCX Natural gas may trade with a negative bias in line with international market. NYMEX natural gas trades weaker near $2.56/mmBtu after a 0.1% decline yesterday. Weighing on gas price is EIA weekly report which noted a 78 Bcf decline in US natural gas stocks as against expectations of 85 Bcf decline and 5-year average decline of 160 Bcf. A smaller than average drop in gas stocks has reduced the deficit to some extent. However, supporting gas price is forecast of cold weather in US which will increase heating demand. Natural gas may remain under pressure amid easing supply concerns however we do not expect a sustained drop and price could take support near $2.5/mmBtu levels. Focus today will be on US weather and weekly rig activity report. BASE METAL - Base metals on LME trade sideways to lower after noting volatile movement yesterday. LME Lead was the best performer with 0.8% gains followed by modest 0.2% gains in Copper prices. In other metals however Nickel ended 1.65% lower while Aluminium and Zinc closed 0.5% and 0.2% lower respectively. Nickel can take support near 865 and can recover towards 885. Aluminum prices may find some support near 130. 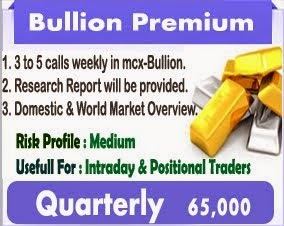 BULLION - MCX Gold and Silver may note mixed trade in line with international market but bias may be on the downside. COMEX gold trades in a narrow range near $1310/oz after a 0.5% decline yesterday. Gold is rangebound as support from concerns about US-China trade talks, US government shutdown threat, Brexit uncertainty and global economic slowdown is countered by persisting strength in US dollar and ETF outflows. The US and China officials will hold trade talks this week but market expectations are low that a deal will be reached ahead of March 1 deadline. As per reports, the Trump administration said the US president still wants to meet China's Xi Jinping in an effort to end the trade war. The US faces a Feb.15 deadline to reach a deal to avert another government shutdown. Reports noted that US congressional negotiators late Monday have reached a deal in principle on border security to avoid another federal government shutdown. Global economic concerns are high amid disappointing Chinese and European economic data and downbeat growth forecasts. The US dollar index rose 0.4% yesterday marking its eight consecutive gains. The US dollar has benefited from safe haven buying amid uncertainty about US-China trade deal, concerns about health of European economies and dovish shift in monetary policy stance of major central banks. Amid other factors, gold has gained support from signs of central bank buying. As per reports, People's Bank of China increased gold holdings for the second month in January after a two-year hiatus. ENERGY- Crude Oil- MCX Crude may note some gains tracking cues from international exchange but sell on rise is suggested. NYMEX crude trades marginally higher but in a narrow range above $52 per barrel after a 0.6% decline yesterday. Crude fell as low as low as $51.23/bbl in intraday day trade yesterday but managed to recover and end above $52/bbl. Crude has fallen in last few days after failing to sustain above $55/bbl level however we are yet to see a close below $52/bbl. Mixed factors has resulted in choppy trade in crude oil and this trend could continue in the near term. Crude along with other commodities saw some support from reports that US congressional negotiators have reached a deal in principle on border security to avoid another federal government shutdown. Crude is also supported by OPECâ��s adherence to production and supply concerns relating to Venezuela. However, weighing on price is concerns about OPEC-Russia cooperation going ahead, record high US crude production, rise in US crude oil rig count, expectations of another increase in US crude oil stocks, firmness in US dollar and concerns about US-China trade talks. The US and China officials will hold trade talks this week but market expectations are low that a deal will be reached ahead of March 1 deadline. Crude may witness choppy trade amid mixed factors and positioning ahead of inventory report but sell on rise is suggested as global concerns and higher US supply will weigh on price. 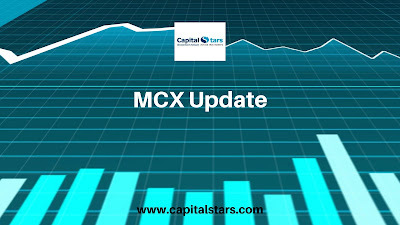 Natural Gas- MCX Natural gas may note some gains tracking cues from international exchange but upside is limited. NYMEX natural gas trades higher near $2.65/mmBtu after a 2.3% gain yesterday. Natural gas slumped to Feb.2018 lows last week and is seeing some recovery amid forecast of cold weather in US which will increase heating demand. Natural gas has also gained support from narrow gap between coal and gas price which has increased demand from power sector. Also supporting price is drop in US rig count. 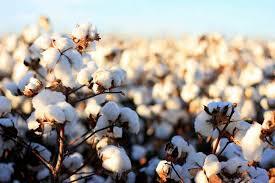 However, weighing on price are expectations of subdued demand going ahead as winter nears an end. Subdued demand expectations and higher US production has also eased tightness concerns to some extent. Natural gas has fallen sharply in last few days and we are seeing some relief rally however it could be short-lived. One should wait for higher level to create short positions. Focus will continue to be on US weather and trend in other energy prices. BASE METAL - Base metals on LME trade mix today after a weaker close yesterday. LME Zinc was the worst performer with 2.2% drop followed by 1.7% decline in Lead prices and 1% slide in Copper prices. In other metals Nickel too ended 0.6% lower while Aluminium was down by modest 0.05%. BULLION - MCX Gold and Silver may note choppy trade in line with international market but general bias may be on the upside. COMEX gold trades mixed trade near $1315/oz after a 0.2% decline yesterday. Gold has come under some selling pressure after testing the highest level since April 2018. Stability in US dollar, firmness in US equity market and ETF outflows has put pressure on gold price. Higher price is also expected to dent demand from India while Chinese buying may subside with end of Lunar New year. The US dollar index trades little changed near 95.8 levels after 0.3% gain yesterday. The US dollar remains supported by concerns about health of European economies and rise in bond yields post non-farm payrolls data. 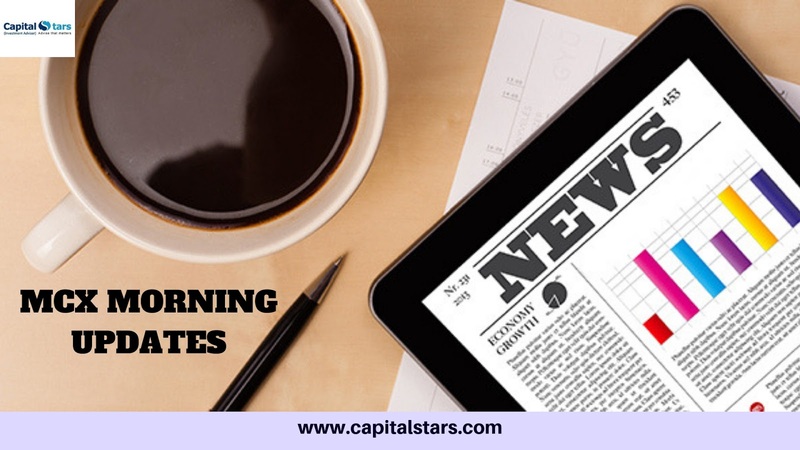 However, weighing on US dollar is general mixed economic data and Fedâ��s dovish stance on monetary policy. US equity markets are trading firm supported by Fedâ��s patient rate hike stance. Reports that Fed Chairman Jerome Powell met President Donald Trump at the White House for dinner Monday to discuss recent economic developments also shows willingness to work together to support the economy. However, market players are still awaiting more clarity on US-China trade deal, Brexit and US government funding. US-China officials will meet again in mid-February to discuss trade issues. US President Donald Trump was reported stating that trade talks with China are "doing very wellâ��. The US faces another government shutdown unless a deal is reached by Feb.15. ETF outflows also show some profit taking by investors. Gold holdings with SPDR ETF fell by 4.1 tonnes to 813.287 tonnes. 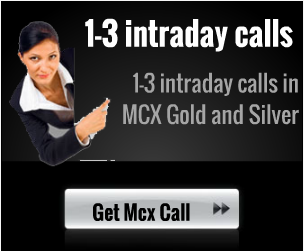 ENERGY- Crude Oil- MCX Crude may note mixed trade in line with international market but buy on dips is suggested. NYMEX crude trades higher but in a narrow range above $54 per barrel after a 1.3% decline yesterday. Crude earlier yesterday hit a high of $55.75/bbl, the highest level since November 2018, however failure to sustain above $55/bbl led to some correction. Crudeâ��s decline was led by disappointing US factory orders data, expectations of another increase in US crude oil stocks, waning cold in US and reports that Russia was slow in cutting output. However, supporting crude price is continuing strength in US equity market amid Fedâ��s patient stance, supply concerns relating to Venezuela amid US sanctions, OPECâ��s adherence to production cut deal and sharp drop in US crude oil rig count. Crude has rallied sharply in last few days and with lack of fresh positive triggers we are likely to see bouts of profit taking. The overall bias however is on the upside given OPECâ��s production cuts and general strength in US markets. Focus today will be on European and US economic data, President Trump's State of the Union address and development relating to US-China trade and US funding discussions. Natural Gas- MCX Natural gas may trade with a downward bias tracking cues from international exchange. NYMEX natural gas trades marginally higher near $2.66/mmBtu after a 2.7% slide in previous session. Weighing on gas price is forecast of warmer weather in parts of US which will keep a check on heating demand. Also weighing on price is higher US gas production and rise in natural gas rig count. However, the sharp slide in gas price has narrowed the gap between coal and gas price and this will increase demand from power sector. Meanwhile, weekly inventory report is expected to note a sharp decline in gas stocks owing to recent cold snap. Natural gas has fallen sharply in last few days and while sentiment remains weak we could see some short covering ahead of inventory report hence one must wait for higher levels to create fresh shorts. BASE METAL - Base metals on LME trade mixed today after ending on a higher note yesterday. LME Nickel was the best performer with 4.7% gains followed by 1.9% jump in Aluminium prices. In other metals, Zinc and Copper ended 0.9% and 0.5% higher respectively while Lead closed essentially unchanged. 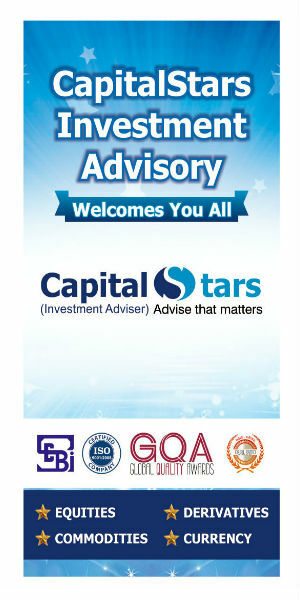 Financial Advisory Company in Indore, Stock Advisory Company in Indore, Equity Tips, FreeTrading Tips , MCX Tips, sebi registered advisory company, Intraday stock tips, Free commodity tips.